As new brands and trends emerge on what seems like a daily basis, the cool fashion set update their wardrobes accordingly, and their fashion choices are constantly evolving. But what does that mean for the Parisian style scene at the moment? Curious, I decided to dig in and uncover the major fashion brands defining French-girl style right now. After all, this set of stylish women often influence my purchases. 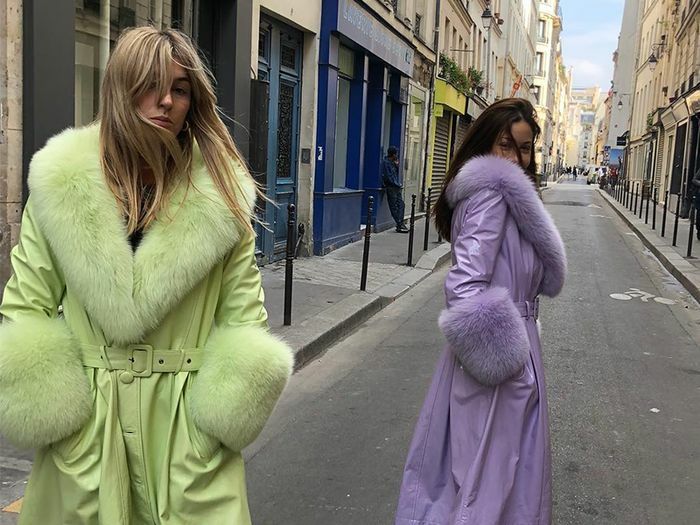 From a Copenhagen-based label that experiments with bold colors and unexpected textures to an It brand that just launched a handbag collection to a buzzy French brand that was the talk of Paris Fashion Week, there are plenty of labels landing in the closets of cool Parisian women. Ahead, we’re breaking down the six brands you’re sure to spot in French-girl wardrobes right now. While French girls have turned to By Far's shoes for some time, they've also been snapping up its recently launched bags. Jacquemus is everywhere at the moment. From the designer's tiny bags to square-neck sweaters and dresses, these are just a few of the season's It pieces. Building Block is known for its minimal, modern bags. We've been spotting them on the arms of Parisians with sleek style. Copenhagen-based Saks Potts has exploded this year, and French girls are definitely on board—especially when it comes to its signature fur-trimmed leather coats. Even though you might think Les Coyotes de Paris is a French brand by the name, it's actually based in Amsterdam. The tailored pieces and classic lines look 100% French though. Launched by influencer Anne-Laure Mais, Musier consistently has pieces the French want to wear at any given moment.